LATAM Cargo will begin a new GDP compliant pharma cargo route between Brussels (BRU) and Montevideo (MVD), from September 2018. The new route is aimed at tapping demand from global pharmaceutical companies seeking to optimise entry to South America via Uruguay given its benefits in terms of quality, security and the reduction of overall lead times, the carrier said. 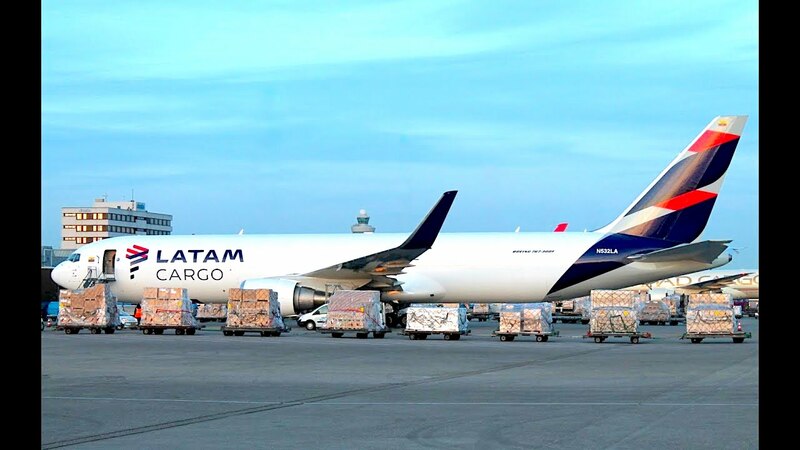 “We are very excited about this first step LATAM Cargo is taking, understanding the shipper’s and forwarder’s demands and providing the enhanced connectivity to attend via Uruguay large emerging markets such as Brazil and Argentina”, says Jorge Carretero, senior sales manager Germany, Benelux, Switzerland & Austria for LATAM Cargo. “We are confident this is only the first step of many and it is a clear symbol of LATAM Cargo’s commitment towards leading the enhancement of pharma distribution in the region,” he adds. “The market is increasingly asking for this solution,” says Bruno Guella, managing director at MVD Free Airport. “We are in touch with dozens of shippers that consider MVD Free Airport for their regional distribution given its multimodal capabilities, the possibility to reach large markets quicker and more cost-efficiently as well as to manage their stock more efficiently, performing several late customisation activities from a GDP compliant, state-of-the-art infrastructure. “LATAM Cargo has seen the opportunity lying ahead, and now helps to improve the connectivity with Europe, one of the main pharma origin markets”, he concludes. Nathan De Valck, Cargo & Product Development manager at Brussels Airport and Chairman of Pharma.Aero, added “It is very satisfying for Brussels Airport to be the outbound gateway for this initiative, and for Pharma.Aero to have helped in connecting some of the key players in its development”, he adds. MVD Free Airport, the only 3PL in South America that combines a tax-exemption regime, multimodal transport, primary and secondary packaging capabilities, and location inside an airport free zone. MVD Free Airport is a business unit of Corporación America, a major global airport operator with a network of over 50 airports and cargo terminals across three continents. MVD also features a multimodal distribution centre specialised in temperature-controlled supply chain, operating as the first and only free airport in South America. MVD Free Airport was awarded IATA’s CEIV Pharma Certification in mid-June.